I know shameless plug… but I’m seriously floored by the quality of entries in Mr. X’s Design Challenge. Who knew so many people were into vintage rock posters? 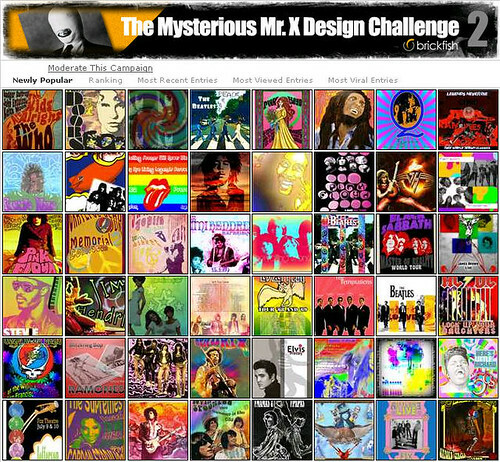 This is the second design challenge sponsored by Mr. X and he has 7 more challenges lined up until January 2009. Check out his other campaigns here.